How to Repair Broken RAR File Header? WinRAR is a reliable and popular compression utility used by many users to compress their important files such as photos, games, documents, music etc. This in turn saves lot of hard disk space and make tasks such as downloading, uploading, transferring data on internet easier. However, RAR files usually get corrupt and damaged due to numerous reasons. For example consider the below situation. How to repair broken RAR header? 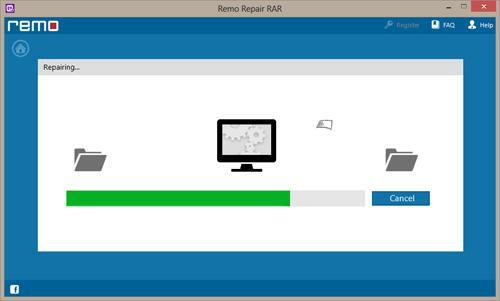 RAR file corruption due to header damage can be easily repaired using Remo Repair software; it is an advanced WinRAR repair tool which can easily identify and repair any problem with your RAR file. The tool has the capability to fix inaccessible, corrupt, damaged, broken, password protected, large sized RAR file with ease. The tool has a very easy to use interface through which even a person with less technical skills can operate and fix RAR file corruption. 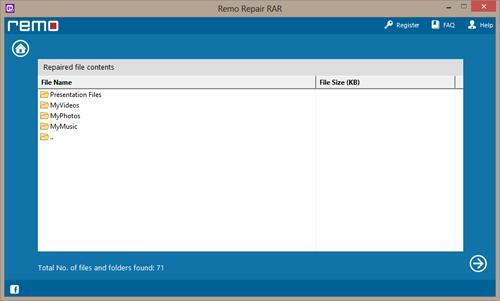 More to this, the program even allows you to preview the fixed RAR files before saving them in a particular location. Furthermore, the tool is compatible to run on all latest versions of Windows operating system. Step 1: Download and install Remo Repair RAR application on your PC. Run the application and stick to the procedure. 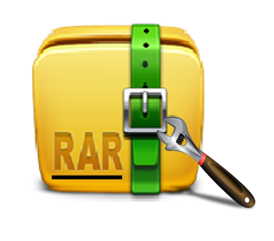 Then browse and select the corrupt RAR file and click on “Repair” option to start the repair process. Step 2: The application starts the repair process and you can moniter the repair process through progress bar. Step 3: Allow the repair process to complete, and after completion the application shows all the files and folders from the corrupt RAR file. 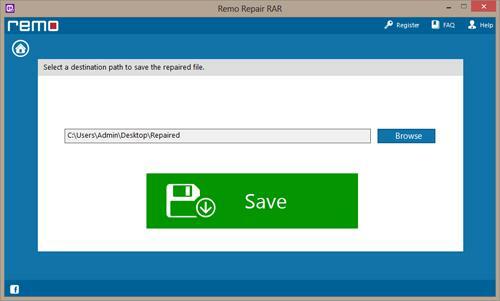 Step 4: Save the repaired RAR files to your desired location using “Save” button.